Microblading is such a hot trend right now and there are so many questions around this topic so we decided to film Danielle's whole experience! Watch the video above for #bts during the treatment as well as her healed results. In this YouTube Video, Kimberly Anh answer's all commonly asked questions and shares her trade secrets! MAKES IT SO MUCH EASIER TO FIND YOUR MAKEUP WHEN GETTING READY! It’s large enough to carry all your favorite products, and with it's padded interior and zipper compartments, it makes it easy to travel with too. 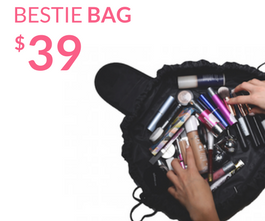 THE PERFECT ADDITION TO YOUR BFF. 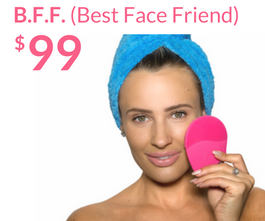 The Scrubby Buddy is made of tiny ANTI-BACTERIAL silicone bristles that invigorate the skin and effectively cleans your pores giving you a deeper clean than traditional methods. DOES YOUR HAIR GET IN THE WAY WHEN YOU'RE WASHING YOUR FACE? 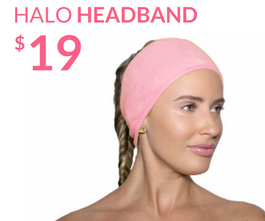 Our Halo Headband will be your saving grace. It not only exposes your hairline for better cleanse, but it keeps your hair dry at the same time too.